ITB (International Travel Trade Show Berlin) is the largest travel industry event which happens annually in Berlin, Germany. In 2016, ITB Berlin celebrates its Golden Jubilee attracting large number of tourism professionals & visitors from 185 countries around the globe. With an estimated turnover of 6.7 billion Euros, the fair creates a unique opportunity to develop strong business contacts in the travel and the tourism industry. 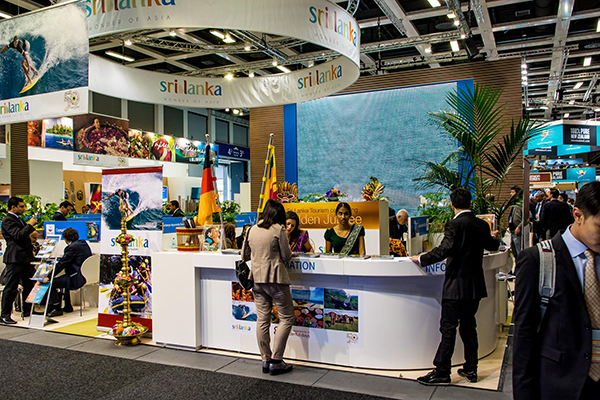 This year, sixty four Sri Lankan companies including key stakeholders of the Tourism industry of Sri Lanka are participating at ITB along with Sri Lanka Tourism to promote key tourist attractions of the island including Ayurveda and Tea. SLTPB has arranged a press conference on 10th March, the second day of the event and over 60 international journalists are expected to attend the press briefing.